Public Ad Campaign: NPA/Contest Promotions on the Verge of Collapse? Or Just the Best Birthday Present Ever? NPA/Contest Promotions on the Verge of Collapse? Or Just the Best Birthday Present Ever? DISCLAIMER: This post is based on completely unauthenticated conjecture and potentially inaccurate information. That said, PublicAdCampaign has for 10 years made outdoor advertising in public space a core issue in its campaign to understand how public space can be used in more authentic and productive ways. On that journey we have made friends and enemies. Those friends sometimes tell us things. 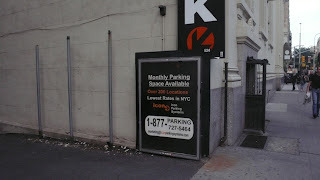 The short story: PublicAdCampaign noticed NPA outdoor was running hundreds of illegal bilboards totaling hundreds of thousands of square feet of illegal signage in NY. We ran an illegal civil disobedience project called NYSAT that reclaimed nearly 20,000 square feet of that signage for public projects. Documentation [HERE] Over 100 people participated in two events, 9 were arrested, 360 hours of jail time logged, 10k in legal fees and one emboldened public later, things started to change. First the illegal ads went white, but not with our makeshift buckets of low grade housepaint, with the paper posters of the company itself. For whatever reasons, the city had come out in force and I was ecstatic thinking that direct action projects like NYSAT could have near immediate affects on public space. More projects were planned for other cities and PublicAdCampaign forged on to new destinations ripe for civil disobedience with a social consciousness. In fact, some of those illegal billboards that were painted white eventually came down completely. There was fire in our bellies. 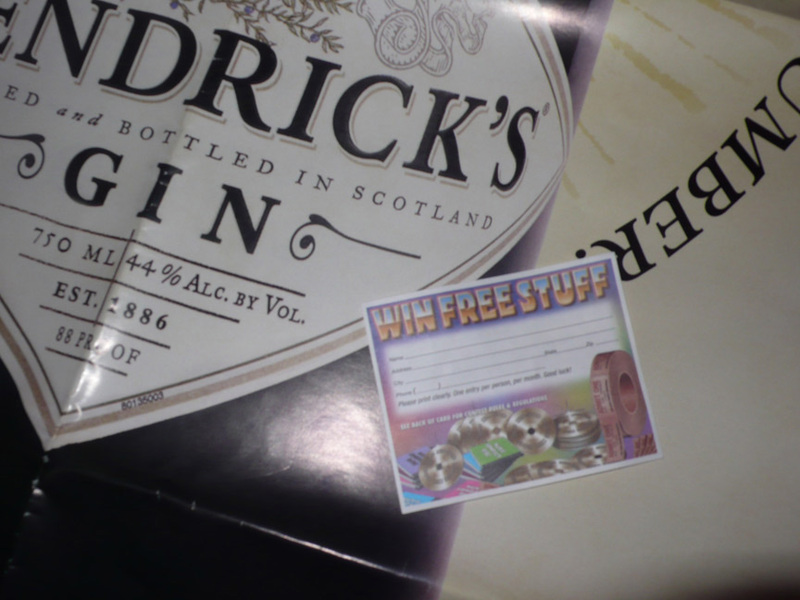 But then it began, the illegal signage became active again, topped with a message about prizes and raffles. It seemed that NPA had dodged a bullet (no doubt with serious legal prowess) by dissolving as a company and re-emerging as Contest Promotions. The new bussiness model walked a tightrope directly over the heads of the city itself demanding that the advertising they once illegally posted, was not advertising at all but now, representations of products that one could find inside the building. By this definition the advertising images (movie posters, albums and fashion) were no different than a deli awning. If you could win a taylor swift poster inside this parking garage, they could cover the facade with taylor swift signage and call it legit. It was legal gymnastics of olympic proportions. "NPA/Contest Promotions is over as of Tues there will no longer be a single panel left with AD copy on them. The City is issuing restraining orders against everyone and finally they have cracked the case against the partners and left them w/bankruptcy as the only option. 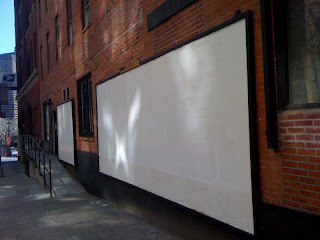 All the panels will be white washed and removed by the city - white washed first - by Tuesday 4:30 pm." Again, this information comes from an unknown and potentially untrustworthy source. That said, I anxiously await tomorrow and hope to see the streets go white as we bid farewell to a devious company now called Contest Promotions. I am obviously skeptical. The company has done a great job of reaping huge profits at the expense of the public good, by making the city spends massive amounts of money to police laws which its citizens have demanded. They act in self interest while using the space which we so desperately need to serve the many. It is not only a crime what they have done, but a disservice to society brought upon us by greedy individuals. For over three years we have awaited this day. I look forward to their departure.